Have you heard about the Golden State Warriors? The Warriors are a NBA team located in Oakland, California. 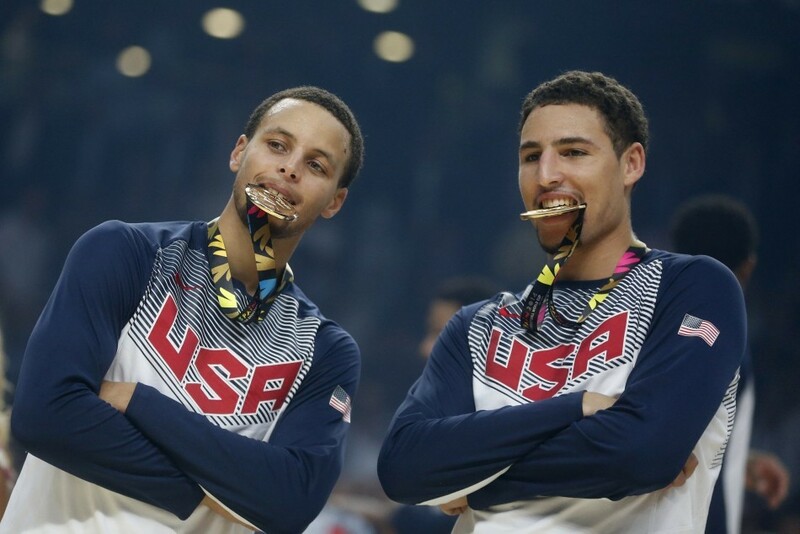 As of this morning, on December 8th 2015, The Golden State Warriors are 22-0. That’s 22 wins in a row! That has never happen before in NBA history to start a season. Not even Michael Jordan’s 1995-1996 Chicago Bulls with the NBA record of 72 wins, started out this hot. So what does this record have to do with you? You see you have to look beyond the fact that this is just a basketball team. You need to key in on that word team. It’s not just one person doing all the work. It’s a collective group of people striving to do the best they can do, day after day. Despite the media in their faces 24/7, and every team giving them their best shot, the Warriors are achieving the impossible. Let me tell you about what you could learn from this team and apply it to your own life. For those unfamiliar with basketball, Golden State Warriors have not been a dominant team in the NBA. Every 3-5 years they would pull of a winning season. But for the majority of their existence, they were not known to dominate. The team went into each season with low expectations. No one expected greatness. Fans would just be happy for them to win half their regular season games. When we start our fitness journey, we’re all in the same place. We’re just happy to show up for those first couple of days on a new routine. Most folks don’t plan on long-term success. It’s just a matter of doing enough just to get by that week. If you are too sore, you’ll skip a workout. Why? Because it’s easy to do when you don’t have a big fan club expecting greatness out of you. All you are doing is working out for yourself. You start from the bottom and need to show some type of effort for your body to become a fan of what you’re doing. Golden State had many rough seasons. But as I mentioned, they always seem to make the playoffs every 3 – 5 years. Well, recently their management determined that it was time to break that model. They wanted to revamp the franchise and put pieces in there that would last for the long term. Sure, in the short term the team would lose, but by investing in their future, they expected to see results in a few years. That’s how you need to approach your fitness. You need to get to a point where you’re tired of just being below average. You want your body to consistency appear attractive and healthy. That will require a mental and physical investment in doing all the necessary steps to get towards that dream body. In the short term you’re not going to see results, but in the long term your investment will pay off! Golden State fans struggled for years. They wanted a winner but the team didn’t produce. Empty seats could be seen in their home arenas almost every night. When the Warriors traveled, the opposing team’s fans would not pay to see that game. Who would want to see the Warriors? Just like the fans, network TV would not air the games. The NBA just felt that the team had no appeal to be shown. Those first few days of showing up at the gym can be lonely. You have nobody cheering you own or patting your back. It’s just up to you and your workout plan. When you go home, I’m sure you’ve experienced family and friends who try their best to get you to eat what they’re eating. Who wants to eat healthy? Your body doesn’t show progress, so why keep up with it? It’s easy to feel defeated when you have no audience cheering you on. 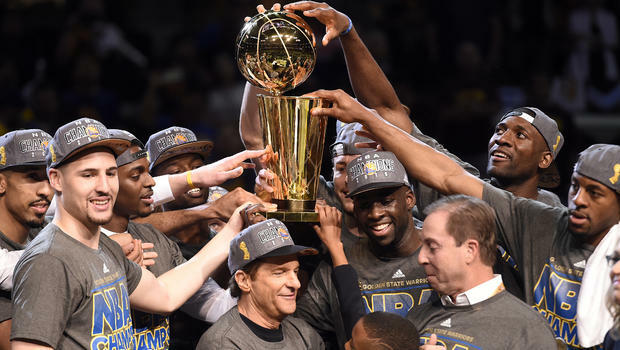 Golden State’s management put together the pieces to their basketball puzzle in the shadows. They drafted players that were young and talented. Each year they added more and more talent. The rest of the NBA was trying to pay ridiculous amounts of money on superstars to make them look good, whereas the Warriors stuck to their plan of drafting young players. They were ok with slowly getting better each season, while most NBA teams were only looking for the short-term solution. Just like Golden State’s management, you need to stick to a long-term plan. There’s always going to be exciting workout plans and fad diets that promise “ten pounds of fat lose in two days”. Those always will be out there, I promise. But the real key to you changing your body and health for good is sticking with your long-term plan. If you are able to see the future, you won’t be distracted by the short-term solutions. When the young talent started playing for Golden State, their record didn’t reflect winners right away. They struggled to figure out who needed to do what. They were great offensive players but played with no defense. That’s when the management decided that they would provide the proper coach to lead them. That’s why the Warriors acquired Mark Jackson. The team had a lot of offensive talent but needed to be able to defend. Mark Jackson was the coach they felt could address their major weakness. After some time on your fitness path, you need to put your ego to the side and address your faults. What’s preventing you from going to that next step? You need to be truthful to yourself. If you still eat junk food all the time, isn’t it time you got on a plan that told you how to handle your eating habits? If you’ve been lifting the same amount of weight for 6 months straight, isn’t it time to switch your program to address your weak points? After addressing their weaknesses, Golden State started to win more games. To the rest of the league, it was a surprise to see them in the playoffs. To the Golden State Warriors they knew it was years of planning that lead to their recent playoff success. They even switched coaches (which was HIGHLY controversial) to reach their next step in evolution. 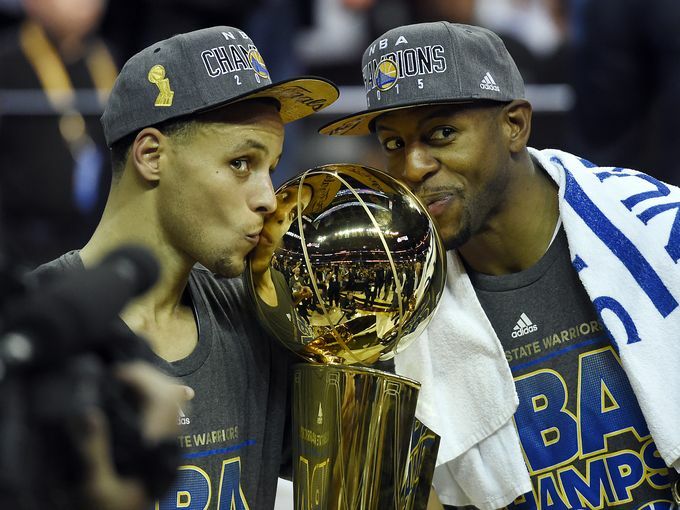 Last year, the Golden State Warriors shocked the NBA by winning the NBA title. They were the best team from Day 1 of the 2014-2015 season. That kept that mentality of always improving into this 2015-2016 basketball season. It’s no coincidence that they’re 22-0 and playing at a high level. Day after day of consistent hard work has paid off for this team. The players put their egos to the side, and gave into the plan of the coaches and management. Every night they have the media hounding them! Despite all this newfound attention, they are still winning at a high level! You see, that’s what you need to learn from Golden State. You have to put trust in your plan and focus on the long term. Your family and friends may laugh you at. You’re going to miss workouts and you’re going to want to give up. But by having that long-term vision for how you want your health and body to look, you will never be distracted. That hard work will one day pay off. You never know exactly when but consistent hard work always gets rewarded. The Golden State Warriors are a great example of reaching excellence earlier than they had expected with their plan. Are you doing what it takes to stay on your plan? If you don’t even know where to start on your path, check out Release The Beast: Conquer Mental, Physical & Diet Challenges To Unleash The Champion Inside! to get the guidance you need to let go of the past and start on your dream body today!